The Search for New fashion model's in Brazil….and the rise of a darker population…. They are searching all over Brazil for the next super-model….. While most of us would in vision the Brazillian female as the cocoa colored female with….’German and Italian ancestry, perhaps with some Russian or other Slavic blood thrown in.’….. The fact is ………those traits are vanishing in the country…. Darker-skinned women have become more prominent in Brazilian society, challenging the notions of Brazilian beauty and success that Ms. Bündchen has come to represent here and abroad. Taís Araújo just finished a run as the first black female lead in the coveted 8 p.m. soap opera slot. Marina Silva, a former government minister born in the Amazon, is running for president. And over the past decade, the income of black Brazilians rose by about 40 percent, more than double the rate of whites, as Brazil’s booming economy helped trim the inequality gap and create a more powerful black consumer class, said Marcelo Neri, an economist in Rio de Janeiro. Even prosecutors have waded into the debate over what Brazilian society looks like — and how it should be represented. 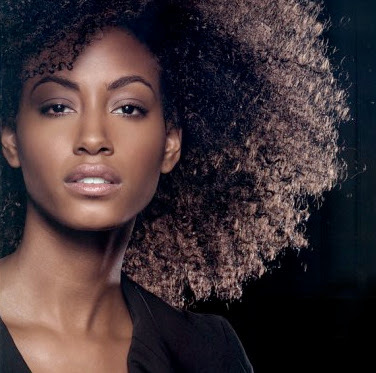 São Paulo Fashion Week, the nation’s most important fashion event, has been forced by local prosecutors to ensure that at least 10 percent of its models are of African or indigenous descent. Indeed, scouts say that more than 70 percent of the country’s models come from three southern states that hardly reflect the multiethnic melting pot that is Brazil, where more than half the population is nonwhite. On the pages of its magazines, Brazil’s beauty spectrum is clearer. Nonwhite women, including celebrities of varying body types, are interspersed with white models. But on the runways, the proving ground for models hoping to go abroad, the diversity drops off precipitously. Prosecutors investigating discrimination complaints against São Paulo Fashion Weekfound that only 28 of the event’s 1,128 models were black in early 2008. The pattern creates a disconnect between what many Brazilians consider beautiful and the beauty they export overseas. While darker-skinned actresses like Juliana Paes and Camila Pitanga are considered among Brazil’s sexiest, it is Ms. Bündchen and her fellow southerners who win fame abroad. Some scouts have begun tepid forays to less-white parts of Brazil. One Brazilian designer, Walter Rodrigues, recently opened Rio Fashion Week with 25 models, all of them black. But here in the south scouts still spend most of their time hunting for the next Gisele, and offer few apologies for what they say sells.